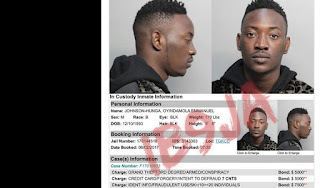 Home / ENTERTAINMENT / NIGERIAN SINGER DAMMY KRANE (OYINDAMOLA EMMANUEL), HAS BEEN ALLEGEDLY ARRESTED IN MIAMI, U.S FOR CREDIT CARD FRAUD. NIGERIAN SINGER DAMMY KRANE (OYINDAMOLA EMMANUEL), HAS BEEN ALLEGEDLY ARRESTED IN MIAMI, U.S FOR CREDIT CARD FRAUD. According to online reports, the singer who is currently based in the U.S, was booked on Friday. He is currently behind bars pending when he meets up with the bail requirements. 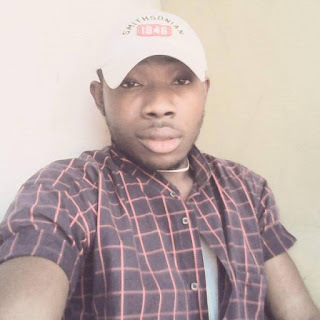 Acording to details on his mugshot from online reports, the singer was arrested for card fraud, identity fraud (named as Johnson Hunga) and theft (armed and conspiracy). Krane signed under Hypertek music has a number of hits to his credit and has enjoyed fame in the industry.